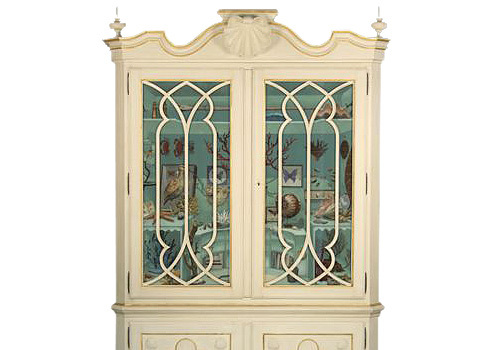 Custom cabinet features hand blown glass panels, slightly aged, with trompe l’eoiled verre eglomise. 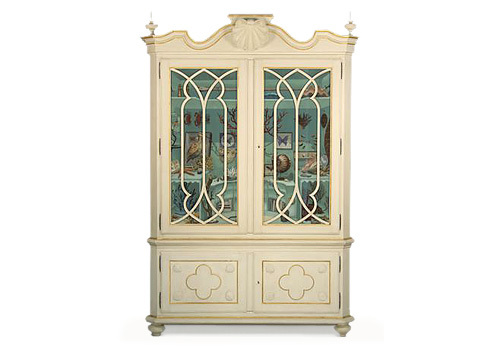 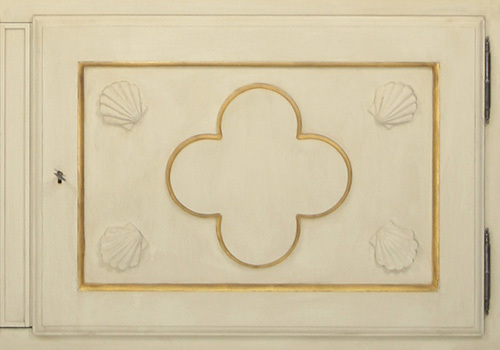 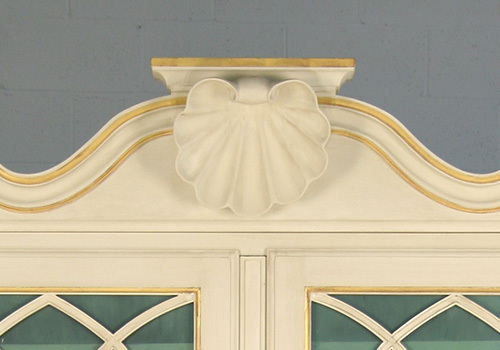 Gilt details and hand carved shells accent the glazed crème finish. 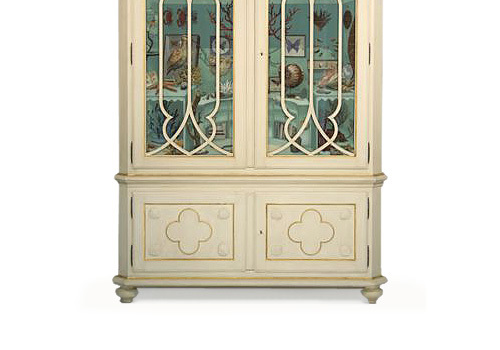 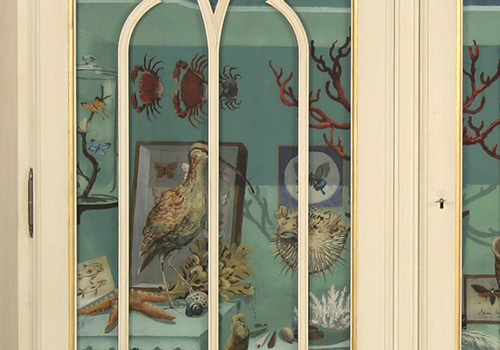 Interior is finished out in complementary blue with painted motif on inside of each upper door.